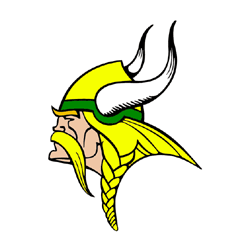 Following a tough match the previous night that was suspended against Triton, the Tippecanoe Valley Girls Tennis Team opened their home slate against the Redskins from Knox. Tonight, the Vikings completed their match and found victory with a tough win 3-2 win over their non-conference opponent. Both double teams won their matches in convincing style. Tiphanie Hodge and Makenna Bradley won 6-2, 6-2, while Kaitlin Neese and Haley Baker continued their dominate play for the second consecutive night by winning 6-0, 6-2. Hannah Parson secured the third point, with a 6-1, 6-1 triumph. Single players Mackenzie Costello and Gi Gi Engstrand played well, but fell short in their respective matches. On another note, the JV team split six matches against the Knox JV Team. Winners were; Mallory Durkes, (singles) and Kennedie Brooks/Andie Schwenger; Nataly Rodriguez/Evelyn Rodriguez (doubles). The win gives the team momentum going into a busy week coming up. Laville, Whitko and the multiple team tournament at Bremen are right around the corner.